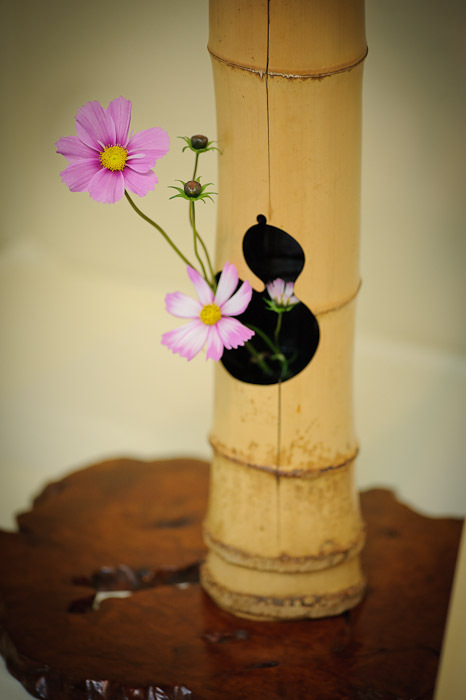 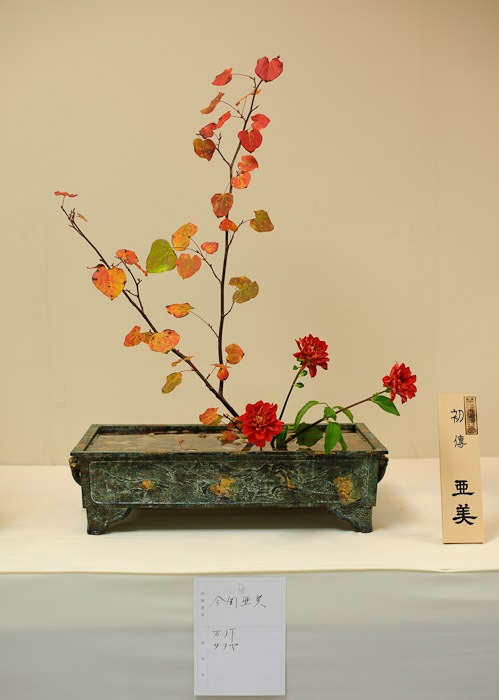 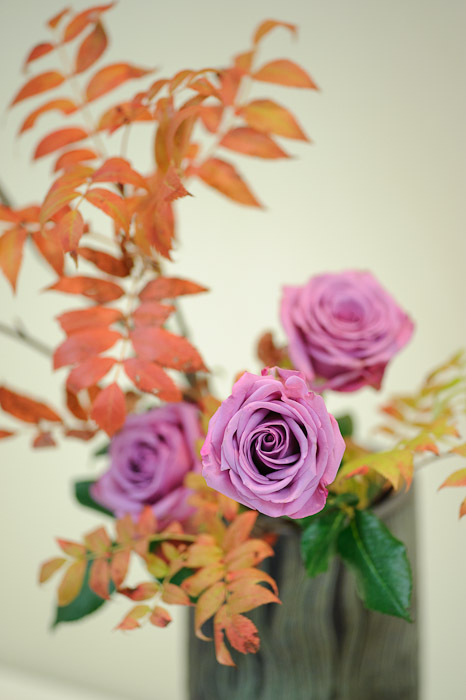 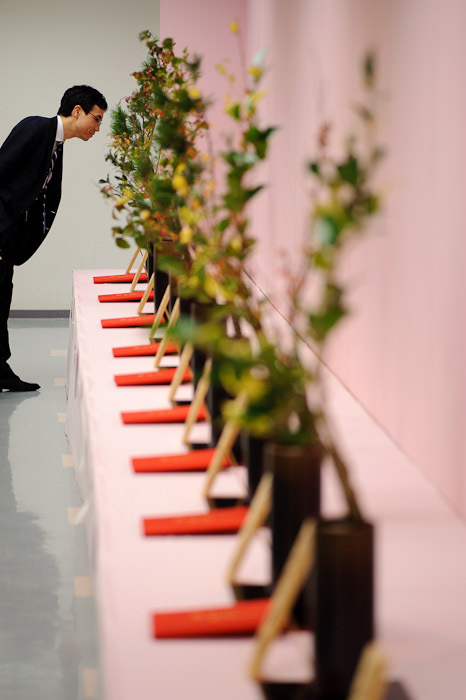 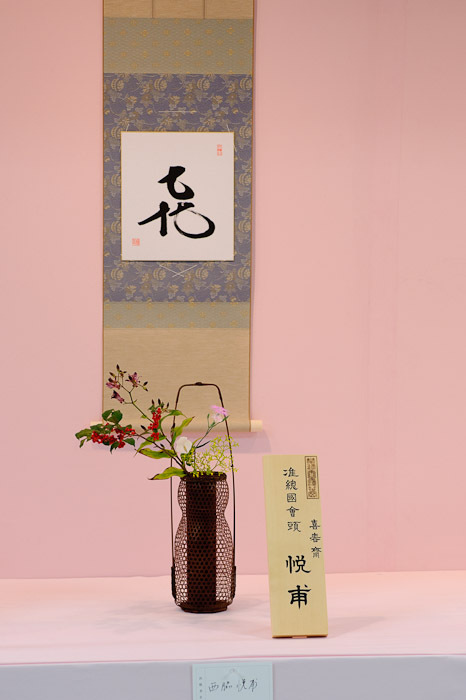 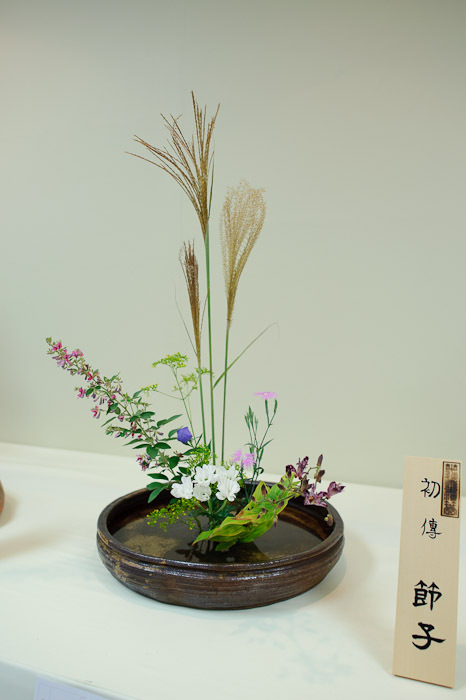 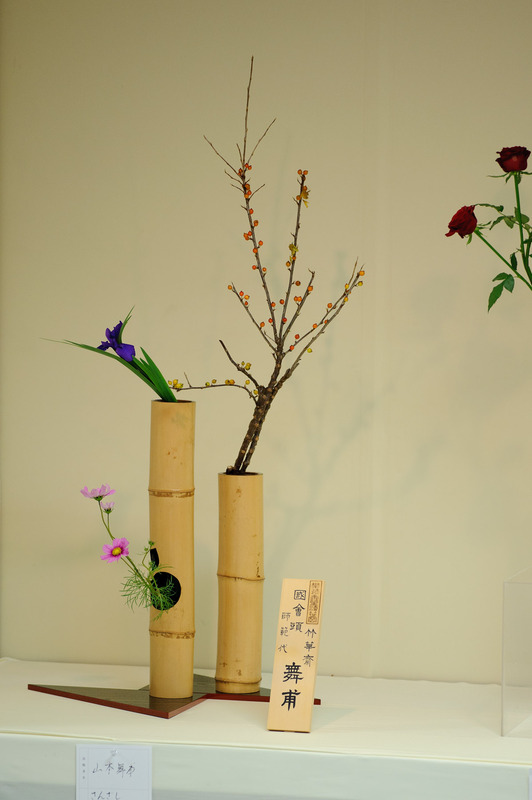 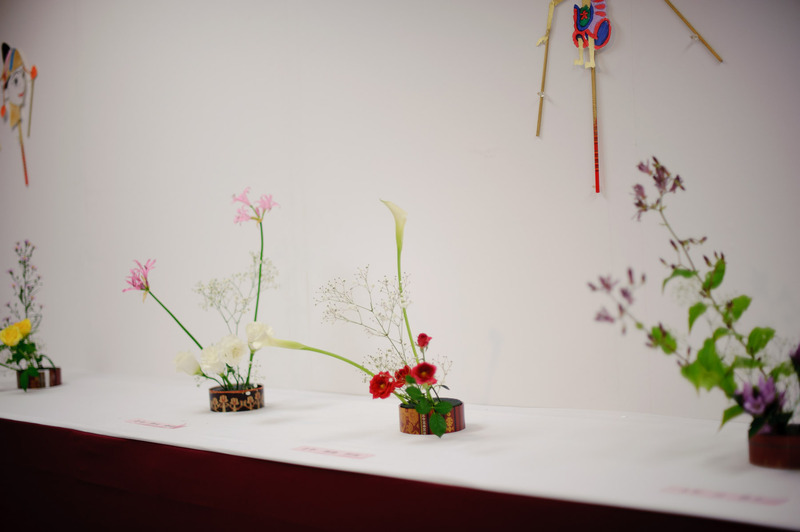 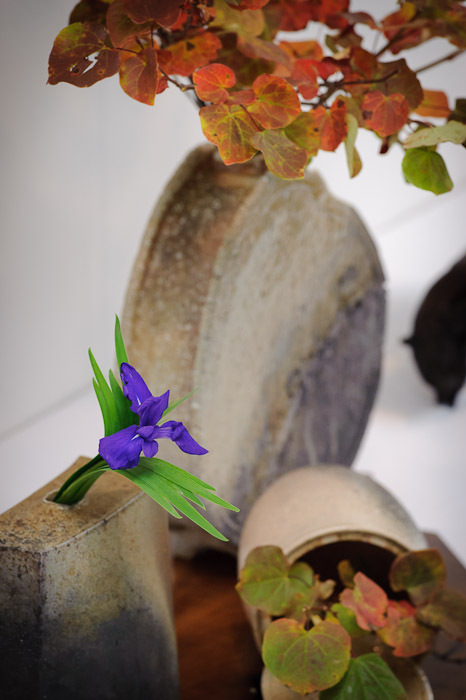 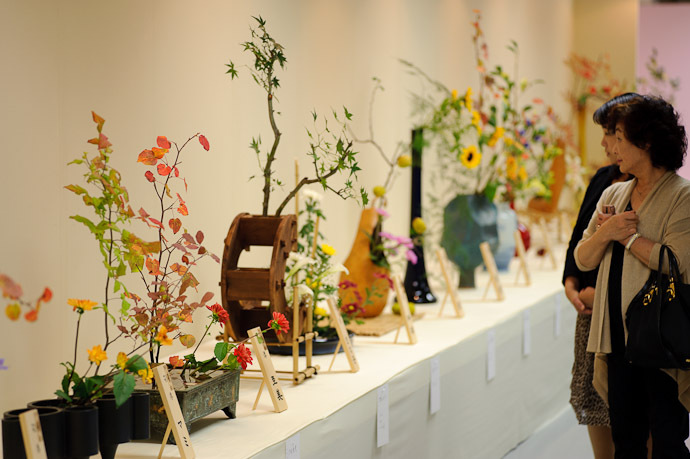 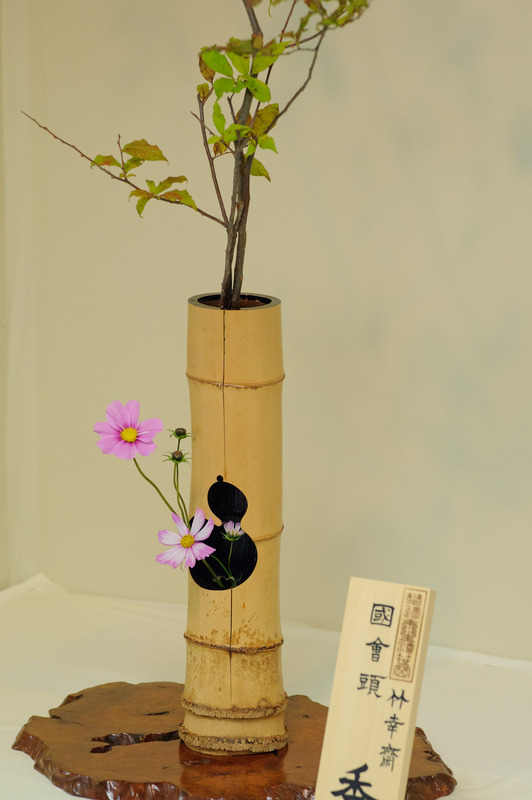 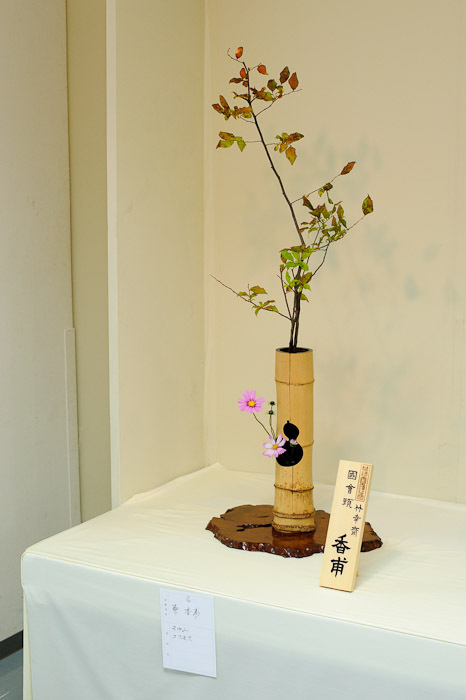 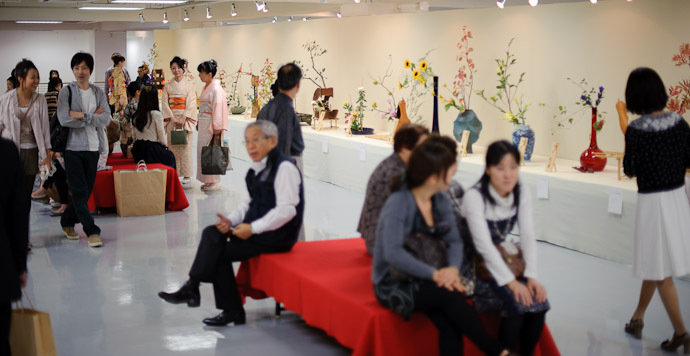 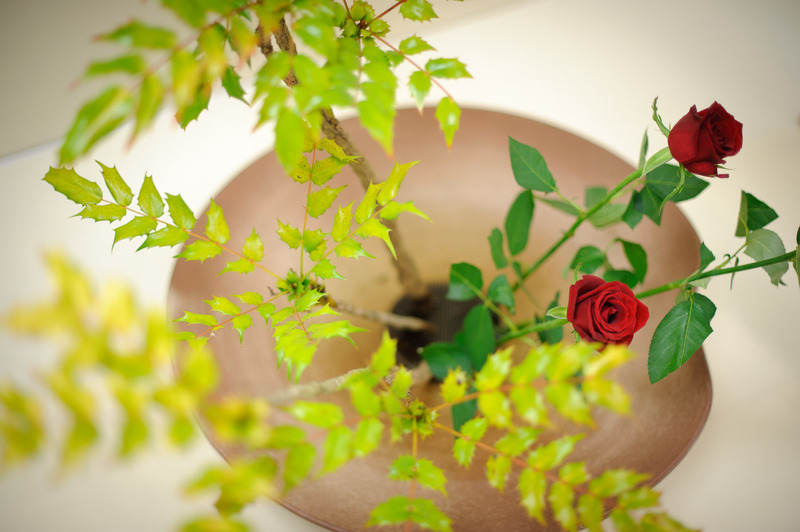 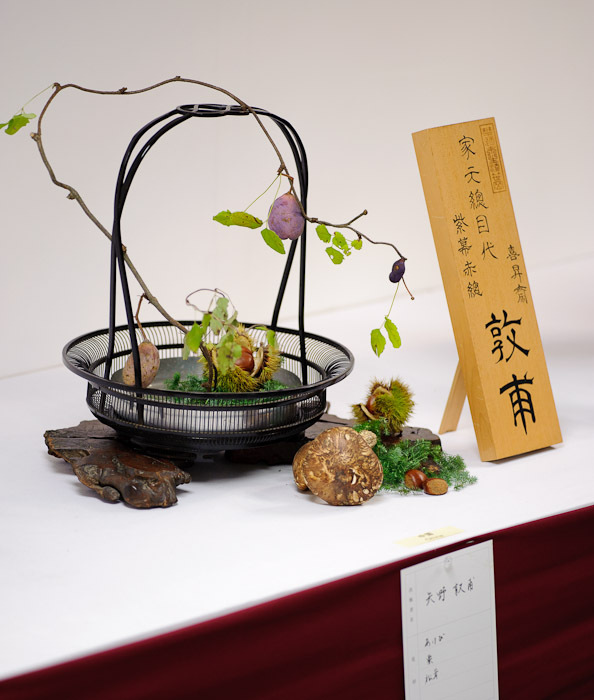 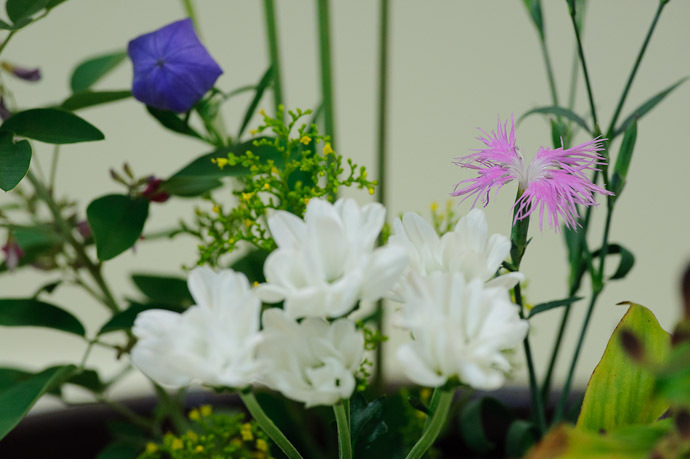 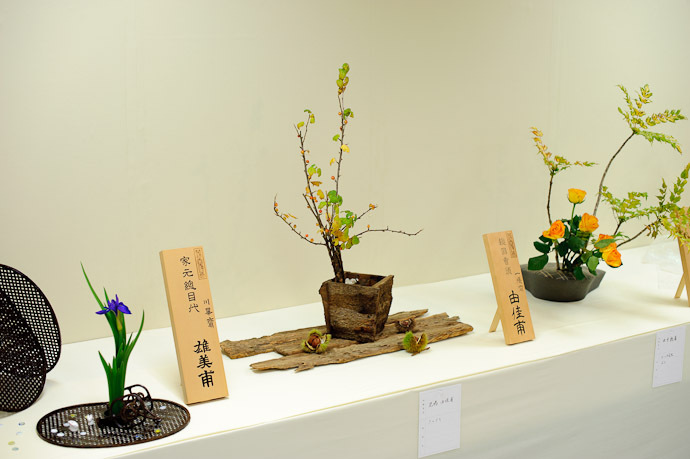 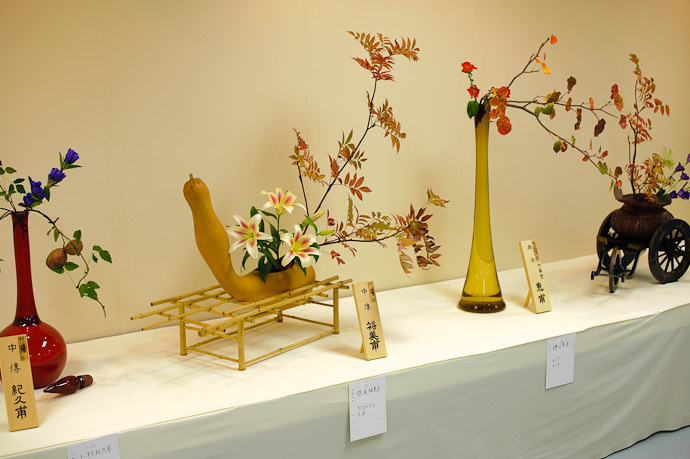 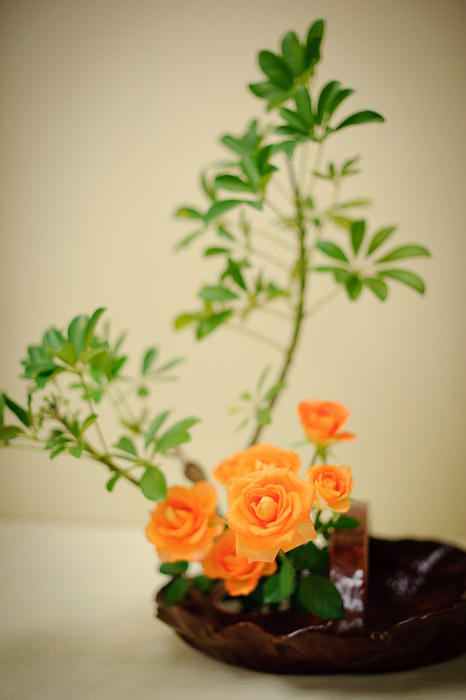 Two weeks ago I visited an ikebana (flower arranging) exhibition and posted some pictures of arrangements done by kids (aged about three to eight). 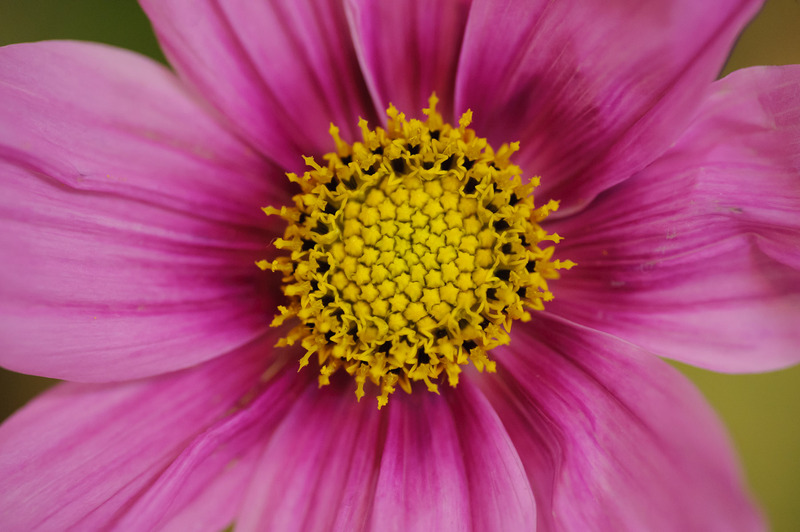 Today I'll follow up with shots of a few of the many (100+?) 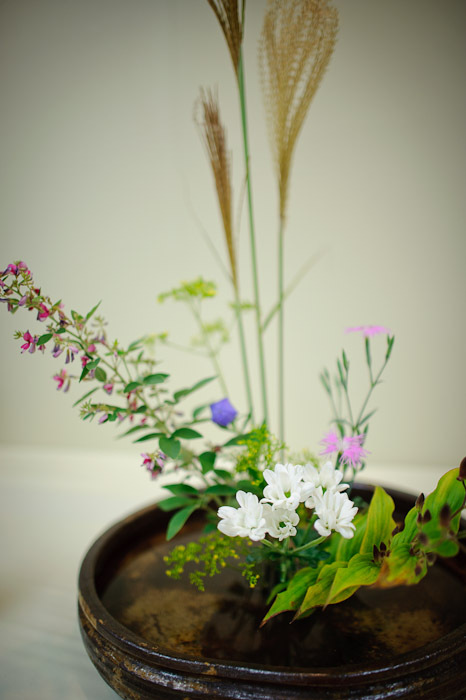 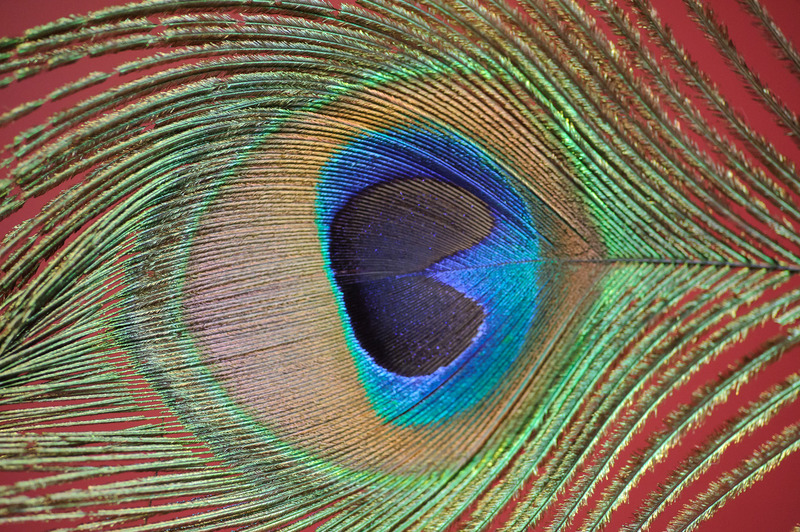 other arrangements. I wrote in that post two weeks ago the problems with photography at the event.... the backgrounds, the lighting, the positioning... all were elements that I couldn't control, and all were horrible from a photography point of view. 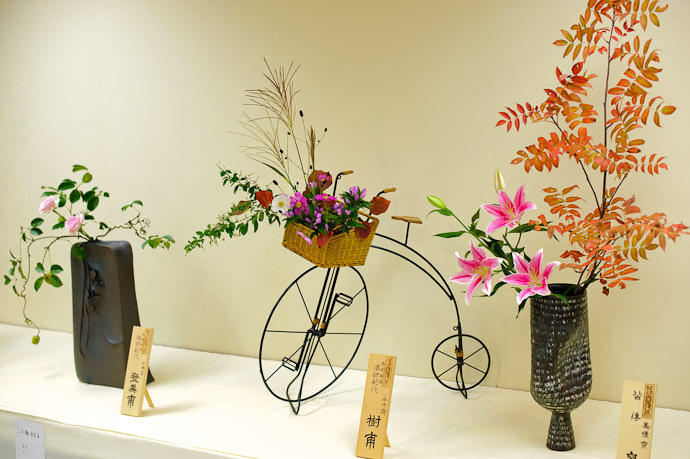 The light-hearted bicycle thing is not part of your average ikebana display, but the “out of place” here is that this arrangement would be at home in the small garden off a quaint little country cafe, not here naked on a cloth-covered card table bathed in a mixture of fluorescent and incandescent lights, sandwiched between two other arrangements as different from it as can be, yet equally out of place themselves. 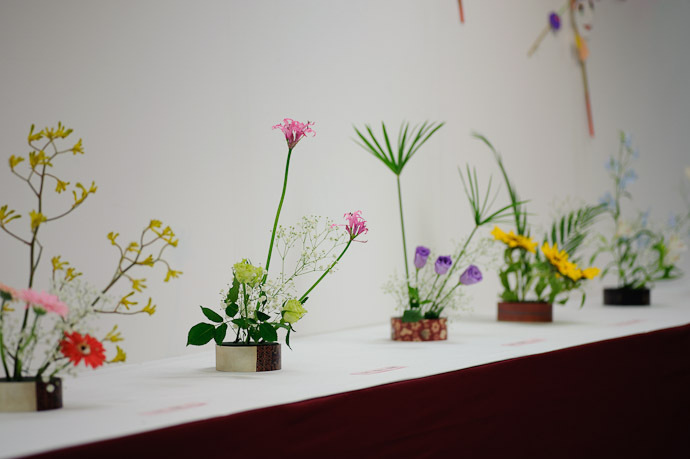 Trying to enjoy these arrangements the way ikebana are meant to be experienced is like trying to listen to a fine string quartet in a seedy grunge bar.... while 10 other bands blare 10 other kinds of music at the same time. 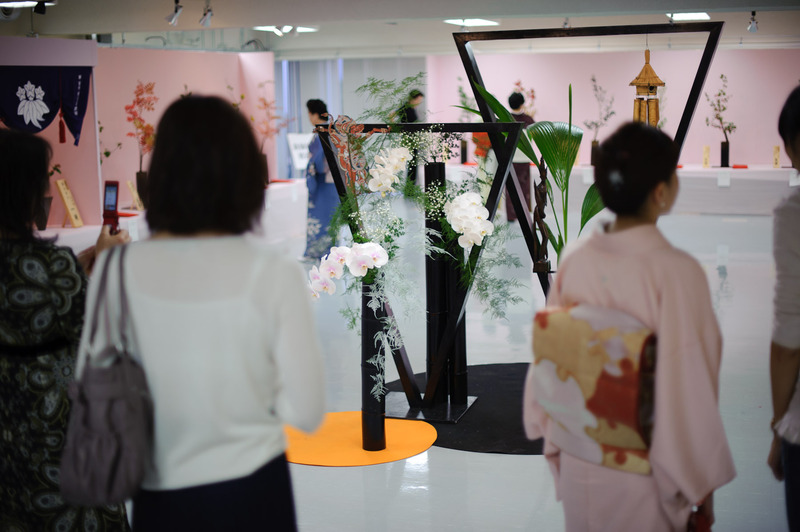 I didn't notice this at all when I came to the same exhibition three years ago, so I felt slightly more cultured having noticed the discord this time. 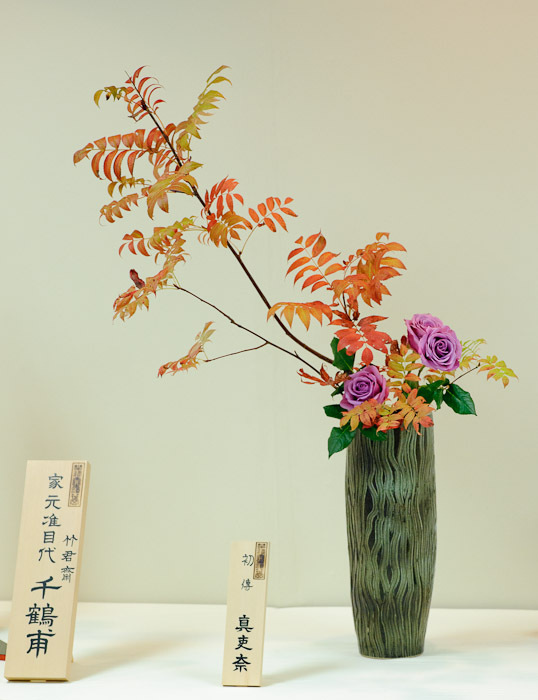 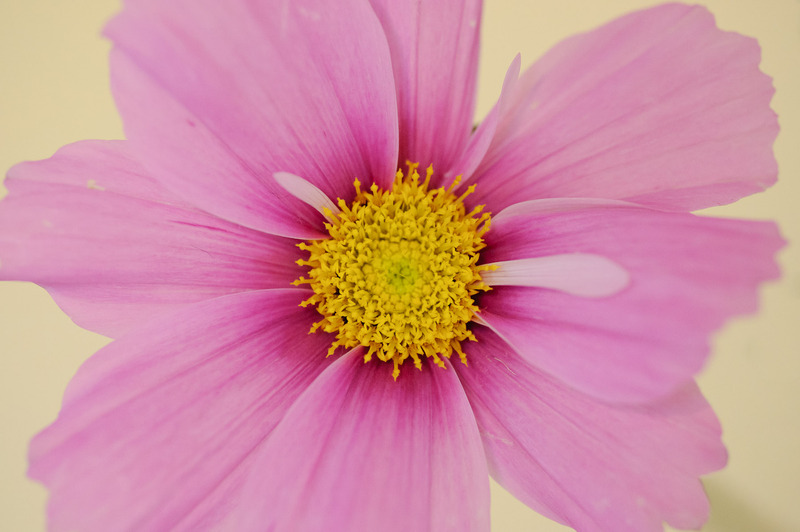 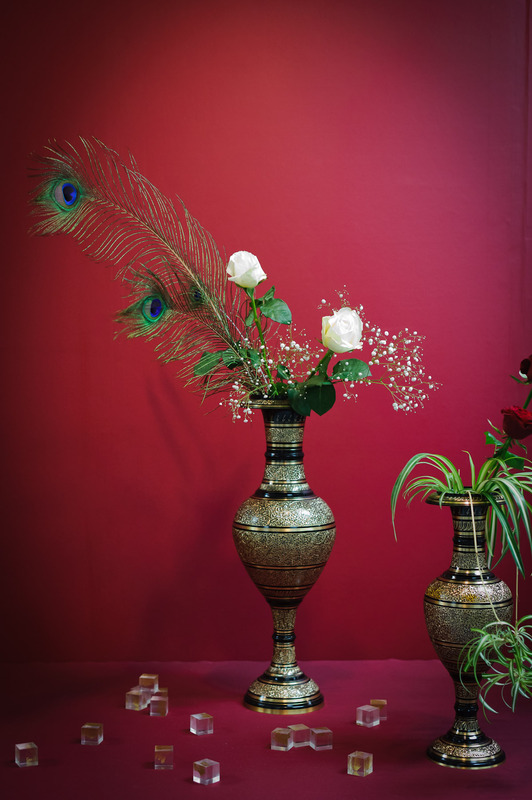 I ran into an acquaintance who is rather high up in the ikebana world and mentioned my feelings, and she looked at me as if she had no clue what I was saying. This is likely because she had no clue what I was saying (my Japanese is not always the best), or it might be because I was way off base. 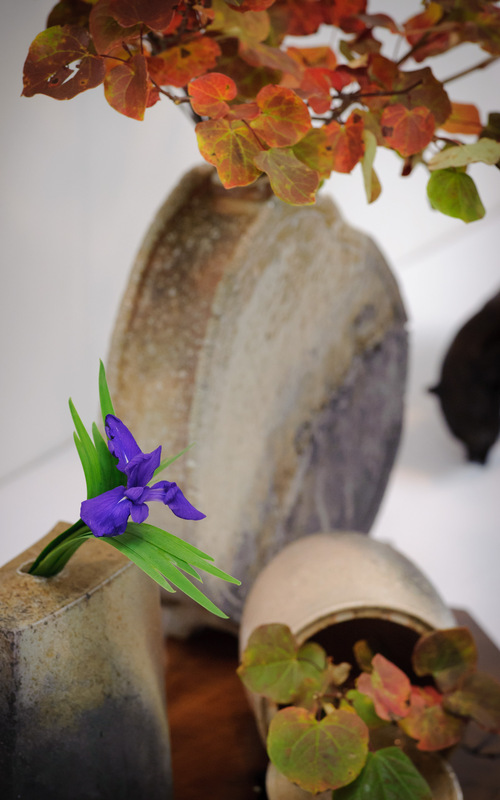 Thinking about it now, it could be that anyone with sense knows that these are meant to be viewed while the mind is in the proper spot appropriate for each piece, or that they're here not to be “enjoyed” at all, but rather, they're gathered all together in one place to demonstrate techniques and trends among the practitioners. 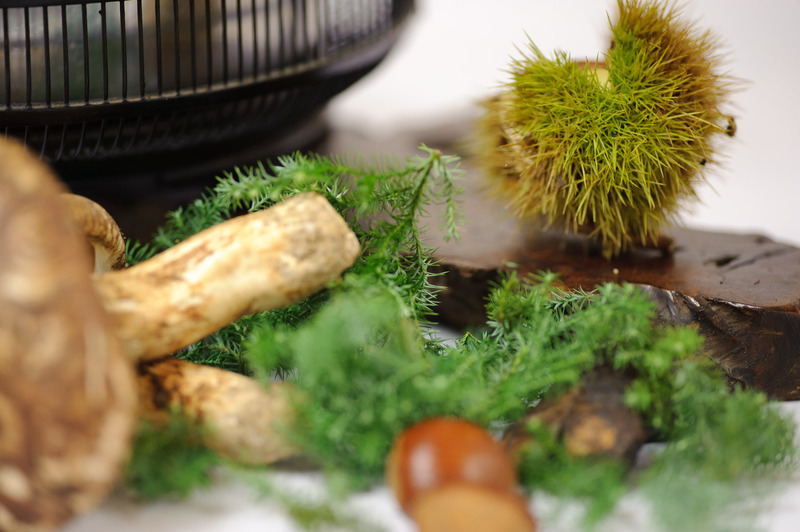 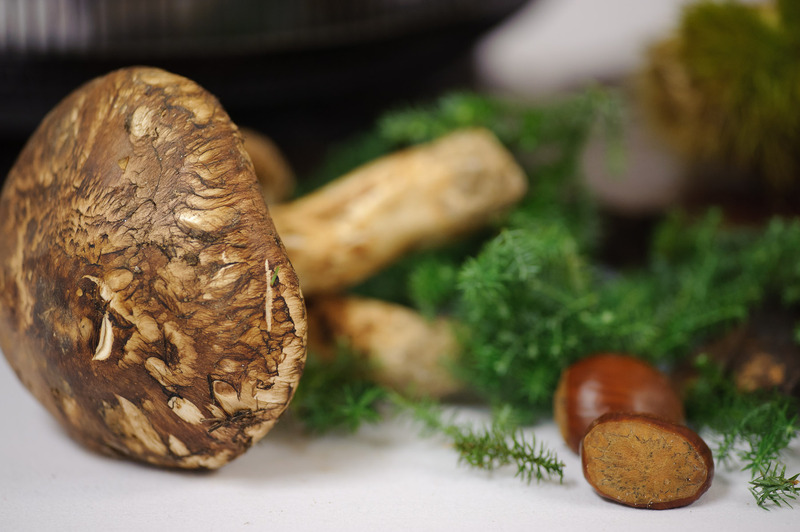 It's difficult to tell without context, but the mushrooms were huge for being matsutake, comparable to those I mention in “Feasting Like Indulgent Royalty on Matsutake Mushrooms”. 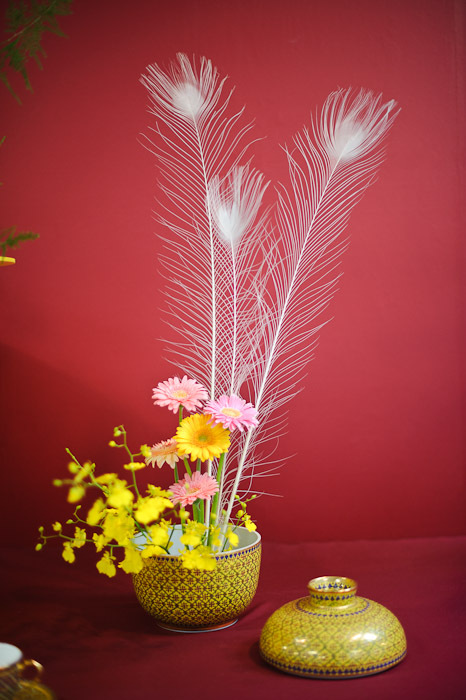 They would have cost hundreds of dollars.